Theodor Cojoianu is a Marie Skłodowska-Curie Fellow at the Michael Smurfit Graduate Business School, University College Dublin and an Irish Research Council Caroline Fellow (2018 -2020). Theodor is also a Smith School Scholar and is finalising his DPhil thesis in Geography and the Environment on responsible investment in public and private financial markets. 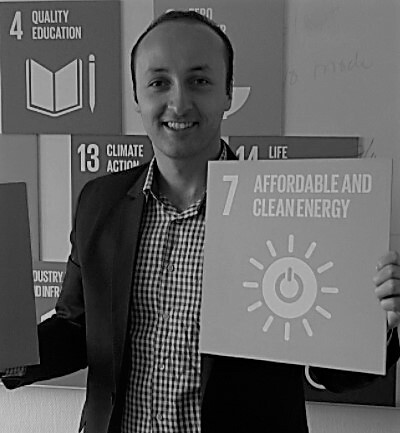 Theodor has previously held appointments in the sustainable finance space in both academic and finance industry organisations. He worked in academia within the Centre for Responsible Banking and Finance at the University of St. Andrews, the ICMA Centre at the University of Reading and the University of Edinburgh Business School. He was previously an analyst with MSCI ESG Research in London and is currently affiliated with Sociovestix Labs and Sustainable Investment Partners. Theodor received his MSc. in Carbon Finance (Distinction) and MEng. in Electrical Engineering and Management from the University of Edinburgh.